Kenwood TM-631A dual band 2 meter, 440 MHz transceiver provides high performance communications with operating ease. It features dual watch receive, 30 memory channels and multi-scan function. Extended receive range is 136-174 MHz and 438-450 MHz. Power output is 50/5 watts on 2 meters and 35/5 watts on 440 MHz. 5.91 x 2 x 8.1 inches 4 Lbs. (150x50x205mm 1.8 kg). Requires 11 amps at 13.8 VDC. MC-44DM multifunction DTMF hand mic included. 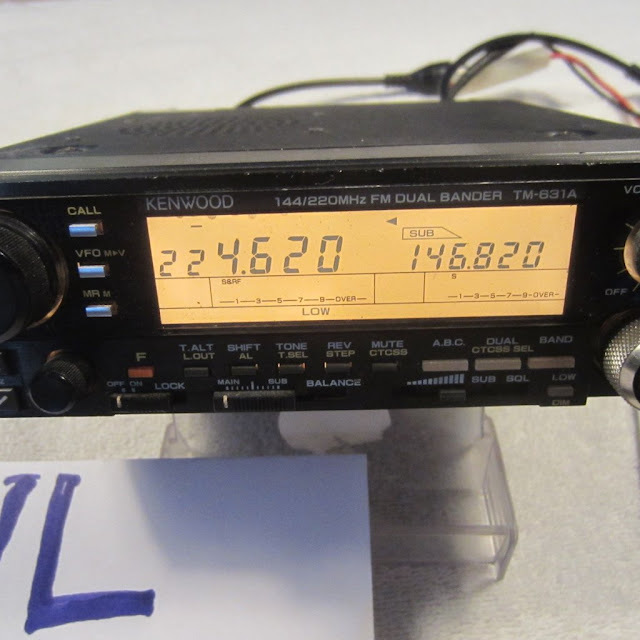 The Kenwood TM-631A is similar, but covers 2 meters/220 MHz instead of 2 meters/440 MHz. The TM-631A has 50 watts output on 2 meters and 25 watts on 220 MHz. Receive is 136-174 and 215-230 MHz.